QUESTION: Mr. Armstrong; Do you have any comment on the latest excuse for the decline in gold is because Trump is forcing it down so he can buy it up and move to gold-backed bonds like Nevada? This is the latest coming from the fringe which just seems so unrealistic any more. I am not sure why these people ignore the past. ANSWER: The entire issue at its core is this endless desire to eliminate the business cycle. They pitch that ONLY gold is money and if we return to a gold standard that every evil will be cured. They believe that money must be “tangible” and as such, they fail completely to comprehend the true nature of the economy. If ONLY gold was money, then how did Germany, Japan, and China rise to the economic giants without gold and Russia has floundered ever since 1991 when they had the gold, oil, and diamonds? Kondratieff’s long-wave study observed that the rise and fall of the business cycle existed during the 19th & 20th centuries when the world was on a gold standard. The existence of a gold standard FAILED to eliminate the business cycle and it proved that a “tangible” based monetary system did not make money more valuable than a paper money system. Ironically, ever since 1776, we are still arguing over what is money? Should it be any commodity, paper, some fixed-exchange rate, or is the real wealth of a nation its people and their total capacity to produce? Is this why skilled labor forces and education raise the standard of living of a country than merely farming to grow food to sustain yourself? Julius Caesar said: Divide and Conquer. If the people come together and form interconnected economic bonds, the economy expands because the synergy of everyone collectively is greater than the individual sum of the parts. Changing the monetary system to one back by gold has NEVER eliminated the business cycle. So this idea that a gold-backed bond will somehow retain its value constantly is like believing in Santa Claus of the promises made by every politician when running for office. The true Wealth of a Nation was observed and expressed by Adam Smith in 1776 and nobody has been able to demonstrate anything to the contrary. “Money” is by no means some tangible object or a commodity regardless if it has been gold, paper, cattle, slaves, or seashells. The true WEALTH OF A NATION is its people! China, Germany, and Japan lacked the natural resources but their people were its wealth and they produced manufactured goods which they sold to the world and were paid for in return. Russia had the natural resources but it moved from communism to an oligarchy. You cannot open a restaurant in Moscow and compete for you will be dead. A country can have tremendous natural resources like Russia, but unless its people are free to develop the economy in their own self-interest, they will never rise to the top ten list of nations. All the gold, oil, and diamonds of Russia did not propell it to the number one economy. There are plenty of third world nations with natural resources that are being mined yet they remain as third world nations because their people are not educated and their is no domestic economic synergy among the people. Spain was the classic example. They discovered all this gold and silver in South America. They exploited it, brought it back to Europe, but NEVER developed their own economy no less America. They spend the money lavishly. Unloading the ships was a job for imported labor because it was beneath them. The gold joke was that as Spain got rich, everyone else got richer. They used Frenchmen to unload the ships while the Spanish drank and partied. Indeed, the wealth discovered by Spain even created what became as the United States dollar. 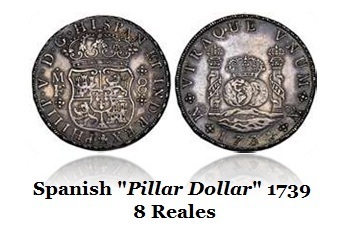 The Spanish piece of 8 (8 reals) became the standard coin of the world. Even China adopted the silver standard based upon Spanish pillar dollars. The two pillars represented the gateway to the Atlantic from the Mediterranean. The problem for Spain simple. They lived lavishly and paid everyone else to work. Consequently, they failed to develop their own domestic economy. 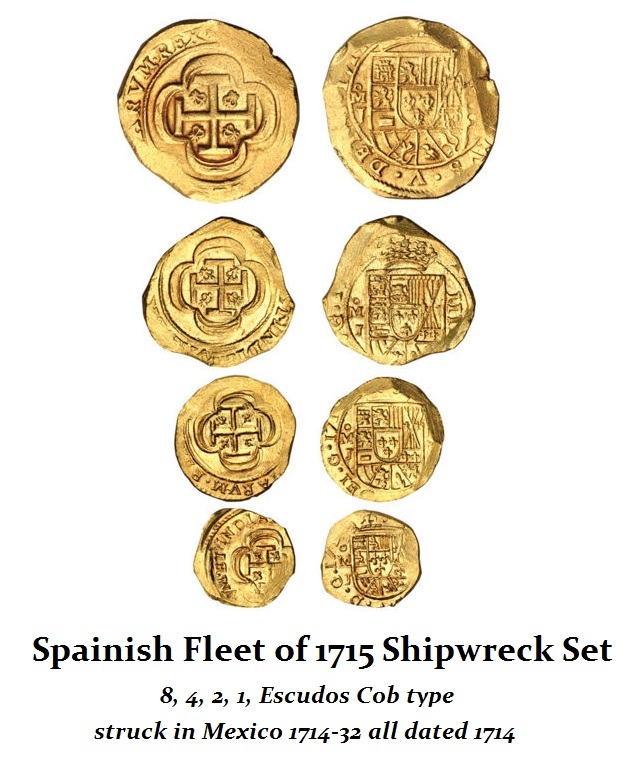 Spain could not wait to spend its money coming in on the next fleet. When fleets sank in hurricanes, they could not pay their debts. Spain became a serial defaulter moving from the richest nation in Europe to a 3rd world status. They defaulted in 1557, 1570, 1575, 1596, 1607, and 1647. Germany is the fifth largest economy in the world and certainly number one in Europe. Its economic model is based upon exports, which was why it supported the euro to eliminate FX risk in Europe so it could sell more product. Exports are driven by Germany’s backbone of highly innovative small and medium-sized enterprises (SMEs). These constitute 99.6% of all companies that employ almost 60% of all employees in Germany. Many of these SMEs are world market leaders in their respective niche segments and actually support the larger internationally leading companies – such as Bayer, BASF, Daimler, Volkswagen, and Siemens to name but a few – they make up Germany’s manufacturing industrial base. They have focused their economy on an export-based model in the old tradition of mercantilism rather than domestically focused consumption. Therefore, you will have to date found jobs for qualified engineers (mechanical, automotive, electrical and building) at the top of the list of job shortages with IT specialists, health and social workers coming in second generally. The German economy relies upon the euro to reduce FX risk to increase its exports, but it really does not matter what the currency is based upon as long as it is fixed or the same single currency. Eliminate the euro and the risk will return and exports will decline within the EU. The entire argument assumes that somehow a gold-backed bond will eliminate inflation. History confirms that is just nuts. The very first coins ever issued demonstrated that inflation caused by war resulted in the first debasement of the currency. History does NOT support this wild idea that a gold-backed bond will eliminate inflation and the business cycle. That is just completely false!!!!!!!!!!! Even if we assumed that was correct, you can see what this type of policy would create by creating a money supply that was fixed – it is called deflation. This is what has driven unemployment among the youth in Southern Europe to 60%. Germany has been focused on eliminating inflation because of their experience during the 1920s. This policy of austerity cripples economic growth and will only lead to revolution and civil unrest. Likewise, Germany is living in a dream world where they do not understand their own economic history. Gold-backed debt has existed for hundreds of years. There was still the business cycle, periods of inflation and deflation, as well as revolutions. This theory that somehow a gold-backed bond will eliminate the business cycle is actually the same goal of Karl Marx and John Maynard Keynes. Marx proposed Communism and the elimination of all private tangible wealth would produce the perfect world. That failed. Keynes argued that the government could manage the economy by focusing on demand and raise or lower interest rates to also eliminate the business cycle. That failed and even Paul Volcker came out and called it the Rediscovery of the Business Cycle back in 1978. 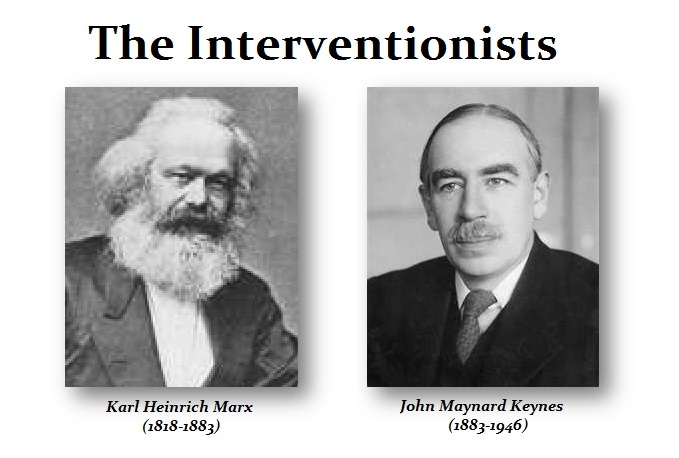 John Maynard Keynes was at least honest enough to comment before he died that he had been wrong. Smith’s observation of how the economy works remains the only answer. 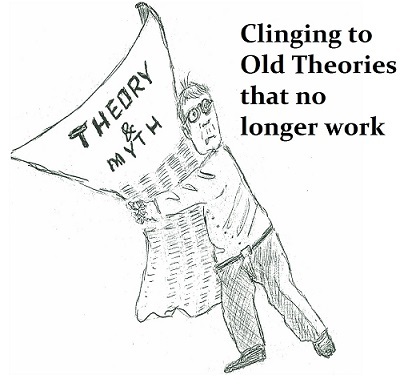 What all of these theories have in common is the assumption that to create money with a tangible value and eliminate the business cycle, the answer lies in manipulating DEMAND side economics rather than the SUPPLY side. In other words, we eliminate all tangible assets or we manipulate interest rates and the supply of money in hopes of influencing the DEMAND of the people. Gold-backed bonds will no more eliminate the business cycle than any other attempt to date. Not even Larry Summer’s NEGATIVE INTEREST rate policy has been successful in stimulating the economy by compelling people to spend rather than save. His theory has merely created the next crisis as pension funds, who needed 8% interest to remain solvent, cannot function with historically low rates of interest and will default bringing socialism into crisis. You must always ask: What is the end goal? It is always the same – ELIMINATE THE BUSINESS CYCLE.